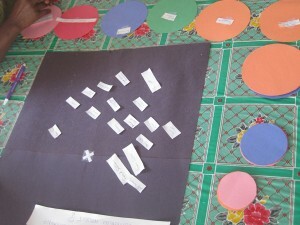 In recognizing that the environmental and social challenges ahead are vast and that our education systems greatly shape our understanding and relationship with the ecosphere, my goal is to serve as a “knowledge bridge” and facilitate cooperation among local communities, science, governments, industry and civil society for the purpose of co-creating collaborative interdisciplinary spaces that foster social environmental justice. Although my background is in forest and agricultural engineering, my life travels and innate curiosity led me, early in my career, to the understanding that land and people are mutually constructed. One can’t be understood without the other. Our current industrial systems, mainstream economies and consumptive behaviours affect natural cycles in a myriad of ways, increase current and intergenerational social inequalities, and threaten both human and the planet’s wellbeing. Inspired by my generation’s challenges, my graduate work focused on deepening our understandings of the links between the human and the other-than-human nature. 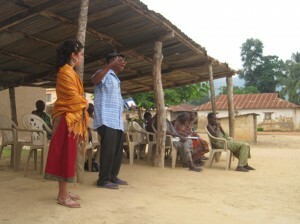 Besides my PhD work, I have been an active member of Cultural Environmental Human Development Association in Ghana (CEHDA), a non-governmental organisation I co-founded in 2008, which works in northern Ghana and Catalonia to promote awareness of environmental and human development issues as well as to support marginalized Ghanaians in both Ghana and Catalonia. Currently, as part of my PhD, I collaborate with a Ghanaian NGO (Nature Conservation Research Centre) in order to learn more about the local realities and challenges of Ghanaian community conservation and development. 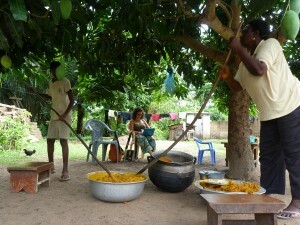 I spent the first half of 2013 in Ghana collecting information and sharing experiences about the connections between social capital, gender and empowerment of locals through community ecotourism with those rural residents involved in community ecotourism projects. 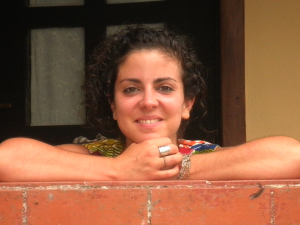 My research specifically takes a multi-level and comparative approach using surveys and interviews to investigate the role that social capital and gender issues play in the success of two community-based ecotourism projects in empowering its residents and the community as a whole. Drawing on my research results, recommendations will be forthcoming for the formulation of policies and policy mechanisms most appropriate for encouraging forest sustainability, gender equity, and poverty alleviation through ecotourism development. As a global citizen, I strive to work for the transformation of developmental institutions as well as human values and behaviours that better reflect socio-ecological realities. I am committed to the promotion of environmental awareness and social change in my personal and professional development and hope that my skills, understandings and contributions regarding human-nature relationships will help inspire crucially needed transformational changes. More information about Ana Elia and her work is available here. Discussion with one of the study communities regarding preliminary impressions of the community ecotourism project and potential. Facilitating a workshop in which community members brainstormed the different stakeholders important to the community ecotourism. 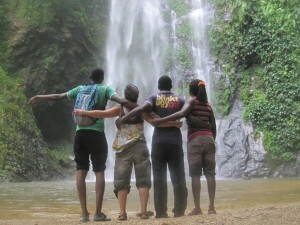 Field work assistants and I visiting the beautiful waterfalls of one of my study communities in Ghana, 2013. 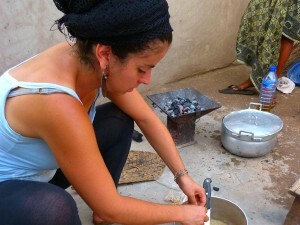 Getting instructed on preparing the spice mixture to cook jollof rice in one of the study communities. In order to sensitize tourists in one of the study communities about the importance of maintaining garbage-free hiking trails, a local seamstress and I designed these sacks for the tour guides. 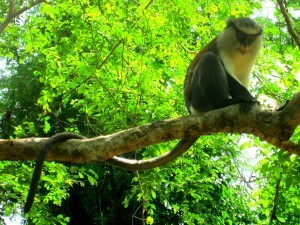 Mona Monkey at one of the study communities in Ghana. Preparing the necessary documents for data collection while Margaret and her grandson (my hosts) prepare palm oil to sell. 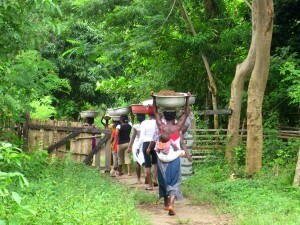 Women’s communal work. 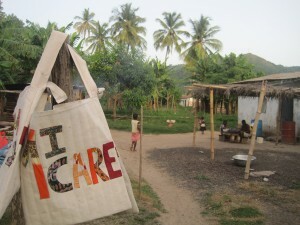 Fetching sand to construct a new kindergarden in one of the ecotourism villages in Ghana 2013.